It is Fall! Which means it is chili and soup season! 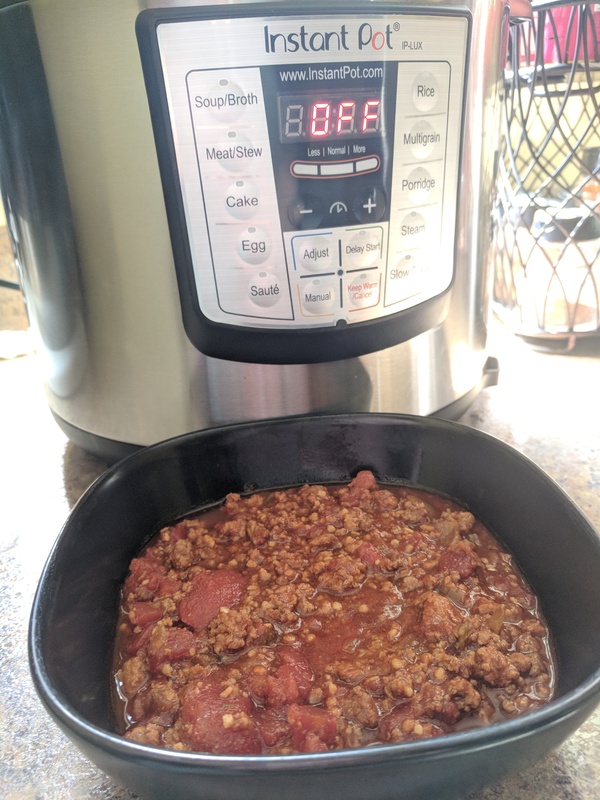 Just now has it started to get chilly around here, I’ve made chili twice now this summer because I couldn’t wait until the sweater weather. 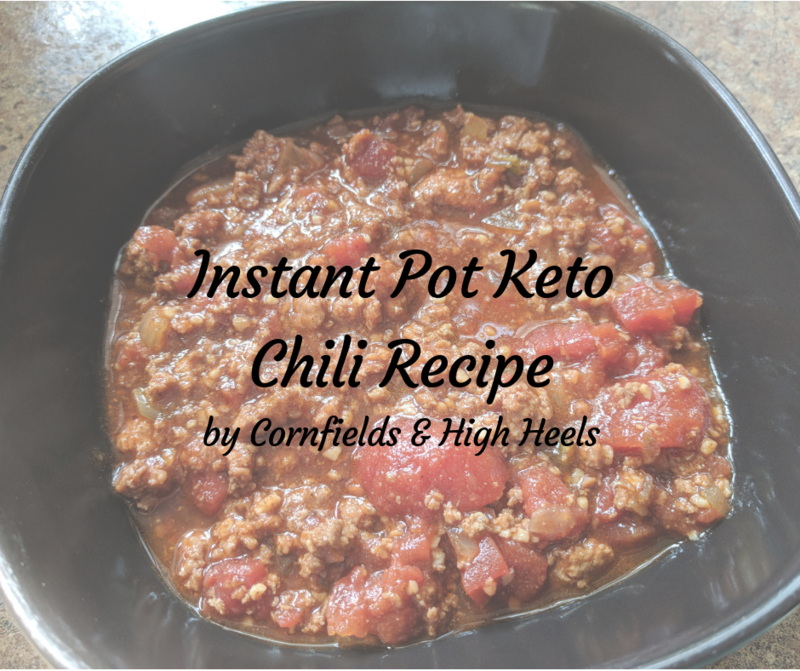 Plus, if you are doing low-carb you know that chili is a year-round meal! Last winter, I post a recipe for a 4-Meat Palo Chili but I wanted something even lower in carbs. Let me tell you, low-carb chili is hard to produce without costing an arm-and-leg on adding tons of meat. So I tried this recipe and it was pretty good! The spices and celery really bring out the flavor. It comes in at 16g total carbs and 11g net carbs per serving. I’m pretty sure you could reduce these carbs even more by eliminating some of those diced tomatoes, however, expect the serving size to go down if you do this. Bon appetite! In the instant pot, select "saute" and add ground beef, half of the onions, minced garlic, and salt and pepper. Once the beef is browned, drain excess grease from pot if needed. Transfer ground beef mixture to the instant pot. Add remaining ingredients and stir until well combined. Set the instant pot on "soup/broth" for 20 minutes and let the steam valve naturally release for another 20 minutes.